EE.UU. no solo para Latinos ! PeruMotors started in 2004 with guided motorcycle tours in Peru. Owned and operated by 2 Dutch guys (Lars Caldenhoven & Geert Boeder), PeruMotors is today one of the leading motorcycle tour companies in South America. 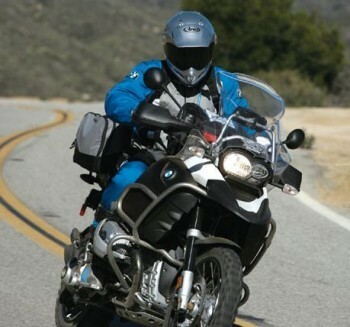 In 2010 PeruMotors became a partner of BMW Motorrad Peru. 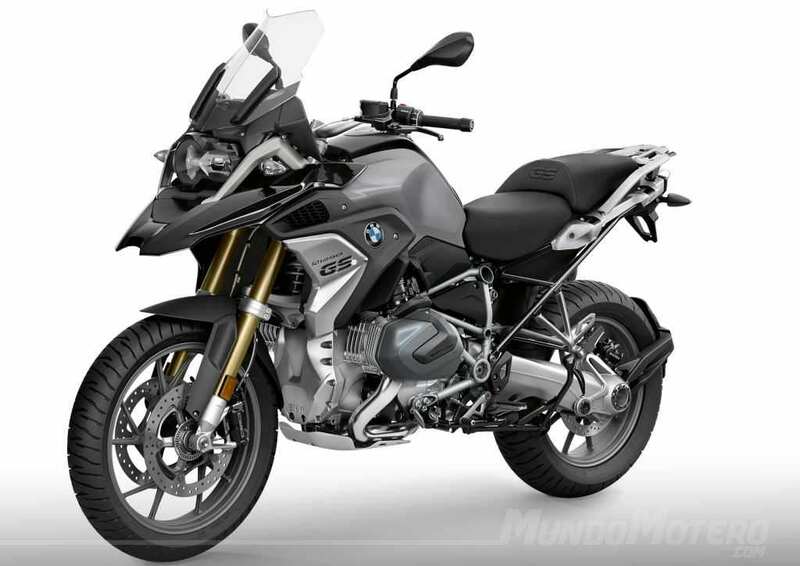 The new BMW GS-series is coming to Arequipa ! PeruMotors ordered 6 new BMW motorcycles from the GS-series. We expect the motorcycles in Arequipa around June 2019. Come to Peru, and try your new GS motorcycle ! 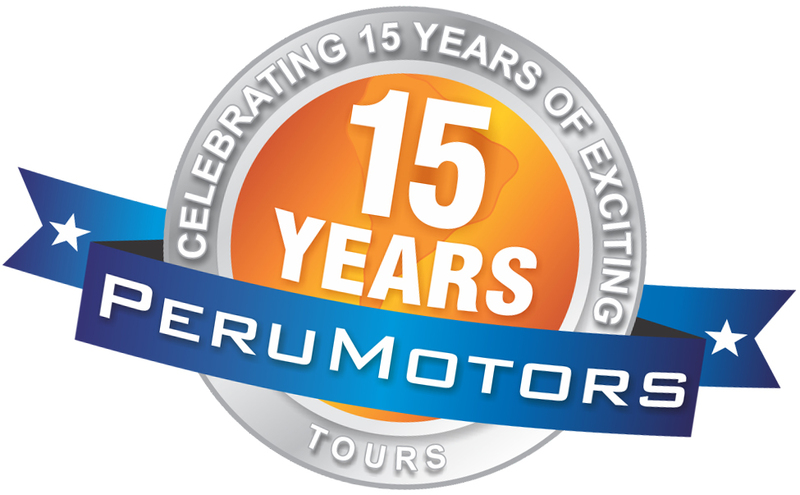 2019 - PeruMotors 15 years in business ! We are very proud to tell you that PeruMotors is celebrating its 15th anniversary in 2019. We are going to Europe, and you can join us ! Carlos Costa made wonderful video, while riding through Peru. WATCH IT HERE !!! One of our guests on our latest "Machu Picchu Expres" guided motorcycle tour, made a exciting YouTube-video. ENJOY !!! Early Bird Special - Discount US$ 250.00 OFF ! If you book your motorcycle tour with PeruMotors EARLY, we'll give you a discount of US$ 250.00 on the rack-price. Valid for individual PeruMotors clients, not for agencies ! PeruMotors has developed several guided motorcycle group tours in Peru, Bolivia, Chile, Argentina and Ecuador. These tours are guided by a professional tour guide. We take care of everything you need: Rental motorcycle, hotel reservations, excursions, etc., etc. These are complete packages including a rental motorcycle, booked hotels, excursions, etc., etc. But, you travel on your own. Of course, with the professional back-up of PeruMotors. We provide a detailed road book, and of you go ! You buy your airfare to Arequipa, Peru, and we'll take care of the rest. Come to Peru for an unforgettable motorcycle tour. YES, We rent motorcycles, too ! Note that the rental station of PeruMotors is based in Arequipa (Southern Peru) about 1.000 kilometers south of Lima. Rental motorcycles can NOT cross the border into our neighboring countries. No problem, because Peru is a very big country and has a lot of culture and diverse nature to offer to the adventurous motorcyclist. Click here for the available models. Do you want to travel in Peru, but you don't want or you can't ride a motorcycle? And you don't want to go in a bus? No problem, because PeruMotors organizes also "(Guided) Self Drive Tours" in Peru. Go to the website "www.peru-self-drive.com" for more information.